Check out our favorite new Pronovias style for 2012, the Bengasi! 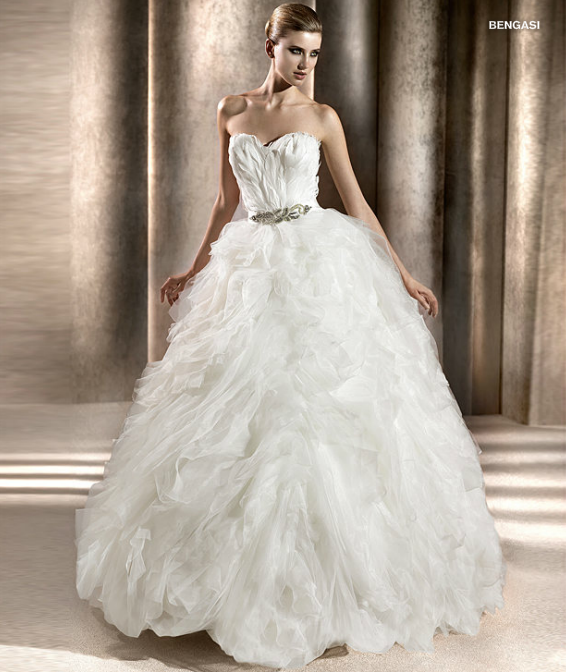 She has a feathered bodice and whimsical pleated Paris organza in vertical layers throughout the skirt, with a fabulous crystal sash at the waist. She just made her debut at our new Castle Rock location, but will be at our downtown Denver location for the rest of the season if you want to see her in person!